In June 2014 I drew this image of my inner journey – a personal piece, working from right to left, journeying from my wounded inner adult, to my inner child. Firstly my inner adult was crying, hugging herself for comfort, then on her knees weeping, then crying out. Secretly this was how my inner adult was feeling at the time. I was more than just frustrated with living with severe long term chronic pain and illness, deep down I was hurting. This drawing was a breakthrough. As I moved through the positions of my wounded adult, I finally came to an image that brought me great comfort – even delight. Finally, I embraced my inner child. I bent down to pick her up and she reached up to me for comfort. At this moment we both needed each other to heal. And we now had each other. I felt whole. In my imagery we went on to dance with each and have something I hadn’t experienced in quite some time – fun! 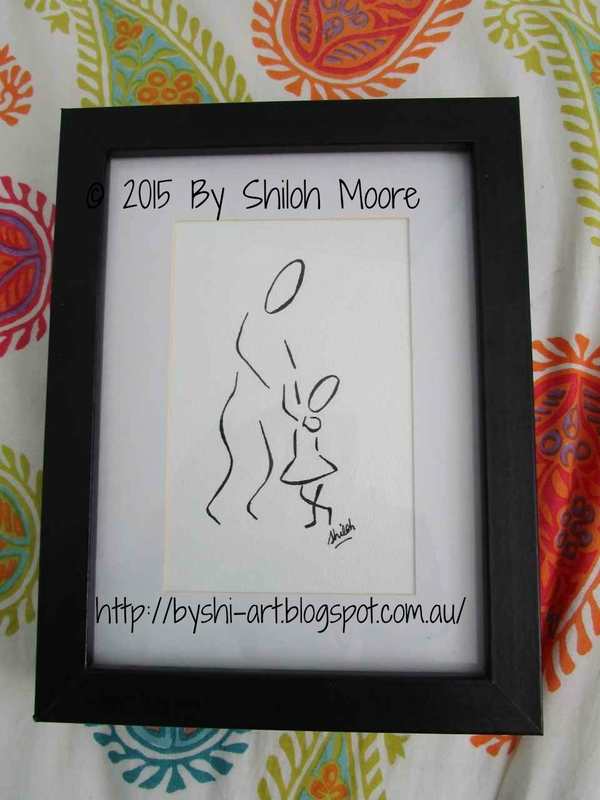 I published this image of my inner adult and inner child on my blog at the time, entitled ‘Embrace Your Child’ on Sunday July 6 2014. At the time the full image of my ‘Inner Journey’ was too personal for me to share. Now I feel I can. The journey from my hurting adult to embracing my child is a healing journey that I continue to feel in a cycle. I love reaching that final image of me embracing my child – it is so healing for me. When I’m struggling I picture this image and it gives me great comfort.